Parking: Please, please use public transport. There is limited parking around the Green and most of that’ll be used by the 120 stall-holders that attend the Fete. 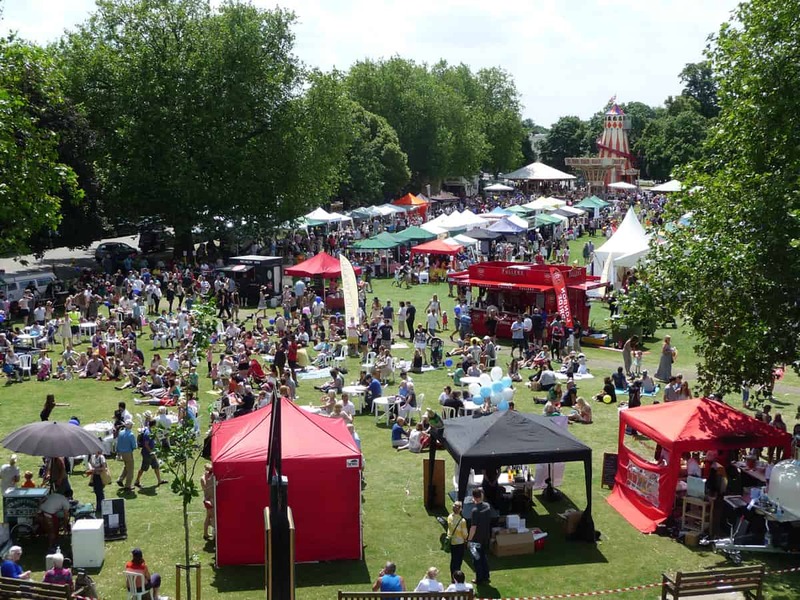 Kew Fete is within easy walking distance of Kew Gardens Station (District line and London Overground) and Kew Bridge Station (London Overground). Buses that stop on the Green are the 65 and 391 and the 237 and 267 buses stop a short walk on the other side of Kew Bridge. To plan your journey use the planner on Transport for London’s website and use the postcode TW9 3AP as your destination. Reuben Bond's vintage Fairground with carousels, a helter skelter and many more rides for the kids. The stage with local acts performing from 11am - 6pm. Acts are from locals schools, local performing arts clubs and bands etc. 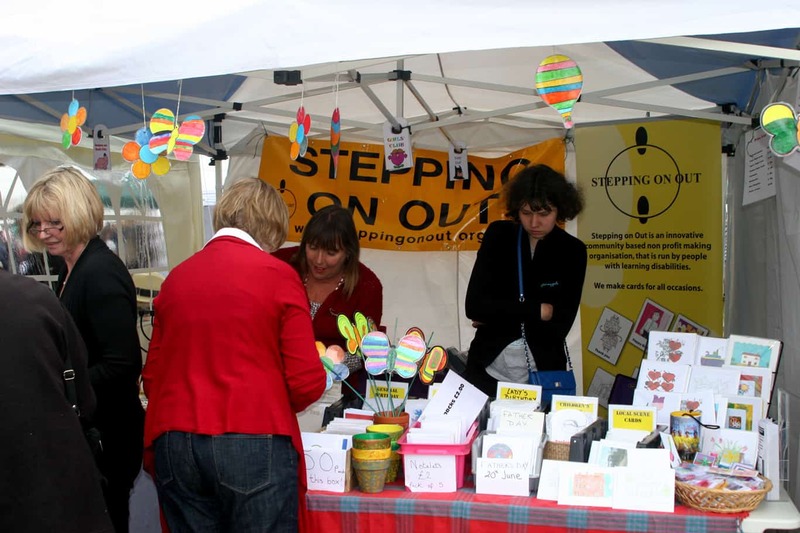 Charity stalls, many of our local charities are represented at the Fete. The Friendly Dog Show - for many the highlight of the Fete. You can register your dog between midday & 2:30pm (don't leave it too late spaces are limited! ), with the show starting at 3:00pm. Charity Raffle - with prizes donated by local businesses, the raffle will be drawn at 5pm. 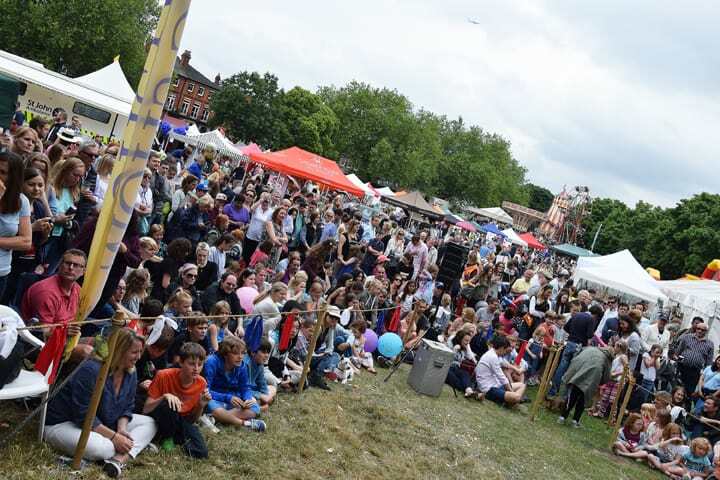 The 9th Kew Midsummer Fete held on 23rd June drew thousands of people, many fine, talented dogs and two charming celebrities to this highlight of the summer season on Kew Green. The weather was perfect allowing everyone to enjoy all the wonderful activities including the Victorian fun fair rides, mobile farm, beat the goalie, live Stage acts, delicious food and fantastic stalls. 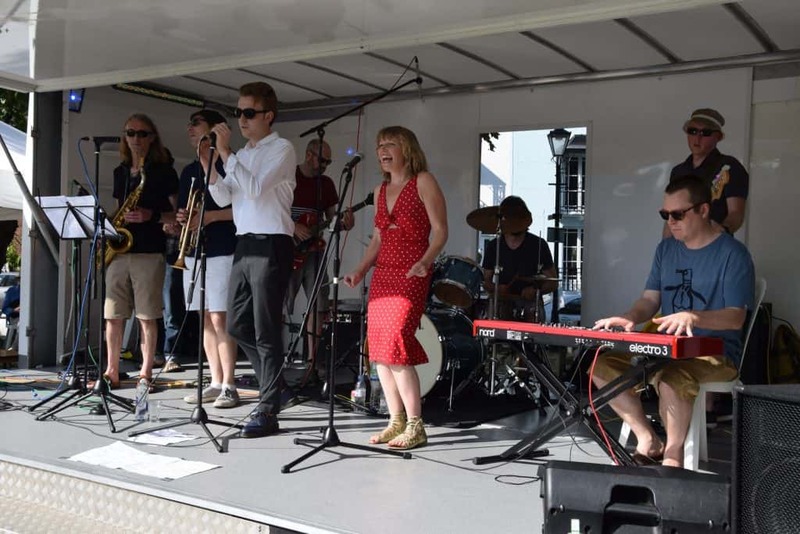 Many people commented on the special atmosphere and great organisation which have allowed the Fete to build its successful fundraising year on year. Fuller’s served over 3,000 pints of beer during the day and the Tea Tent did equally brisk trade with its team of dedicated volunteers from Alzheimer’s Research UK selling hundreds of slices of cake and cups of tea while offering a welcome shady place to sit. The music, dance and karate acts on The Stage created a lively atmosphere with ‘Yes Brazil’s dancers providing a visual treat in their costumes while a few brave teams tackled the Tug of War with enthusiasm. 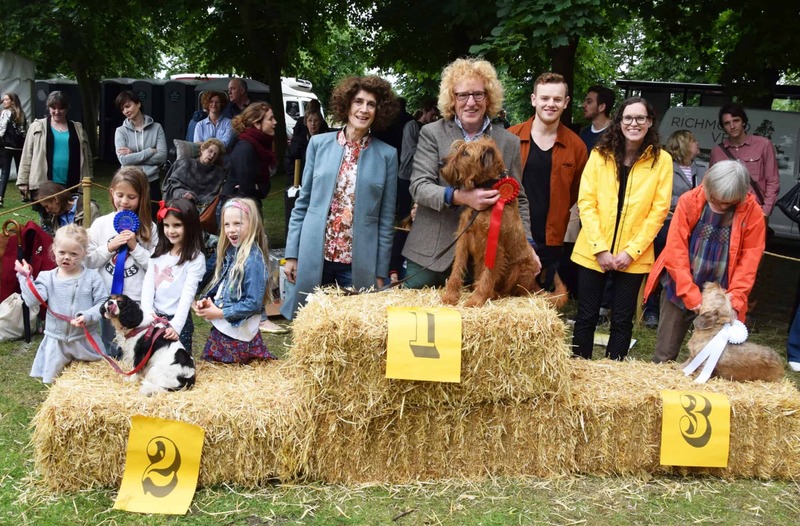 The friendly Dog Show was a crowd puller as always with dedicated dog owners keen to show off their pets to the delighted audience and parading in front of judges Karl Rose from Richmond Vets and stars of The Durrells, Anna Savva and Callum Woodhouse. The competition was tough between several categories including Dog most like its Owner, won by the wonderfully named Billie Holiday, a 3-year-old Pomeranian whose lime green tutu matched her owner’s dress. However, the Best in Show trophy was awarded to a lively 4-month-old Weimaraner puppy named Dave who captivated the audience and judges with his boundless energy, posing just long enough on the podium for a photo! 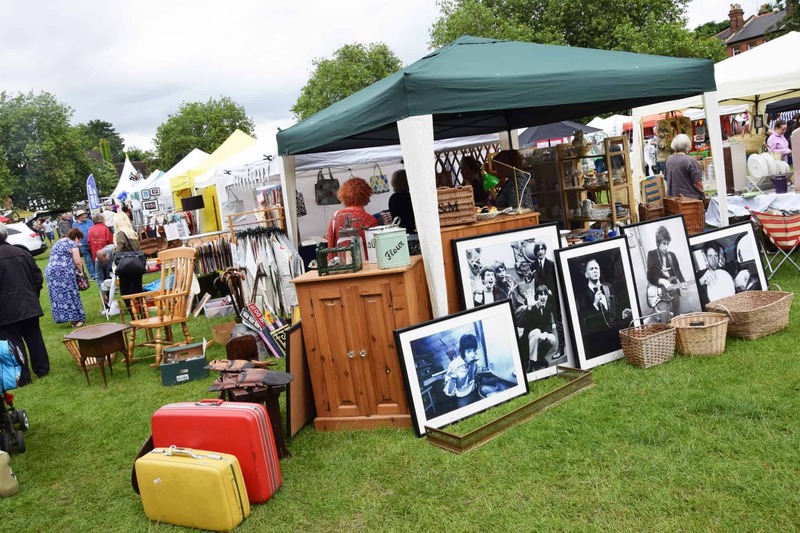 Stall holders and the huge variety of food and drink providers were thrilled with the crowds and some were still frantically serving as the Fete came to an end at 6pm and Kew Green was restored to normal by the Committee’s dedicated litter pickers. Kew Fete Committee Chairman, Michael Glazebrook drew the charity raffle and thanked the generous sponsors and supporters who make the event possible year after year: Red & Yellow Care, Fuller’s, Dexters, Cawston Press, Hyundai, Richmond Vets, Currie Motors, Kew Park Rangers, Living In Magazines, Earthlife, The Design Forum, Richmond Film Services and Ambassador Services. He also asked for a round of applause for the Committee and volunteers for organising the day and keeping everything running smoothly. 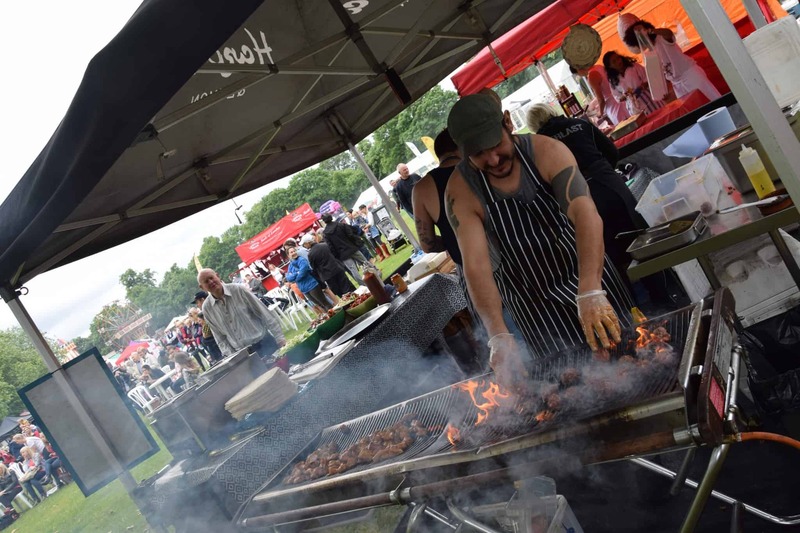 Make sure you save the date for next year when a big 10th Anniversary Fete is planned for Saturday 22nd June 2019. 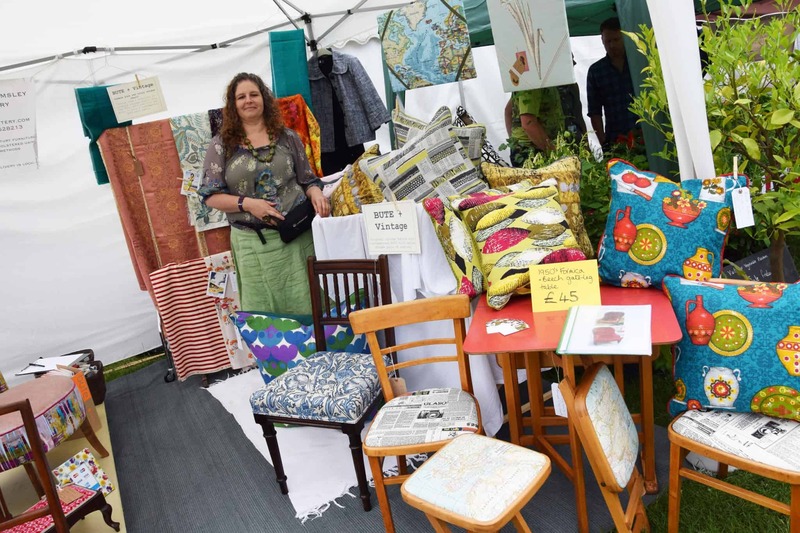 We have over 110 stalls at Kew Fete, with about 90 being on the Green and a further 20 inside the marquee. We have around 15 food stalls in the Food Court in front of the stage. Come and make a day of it. We'll have live acts on the Stage from 11am to 6pm. 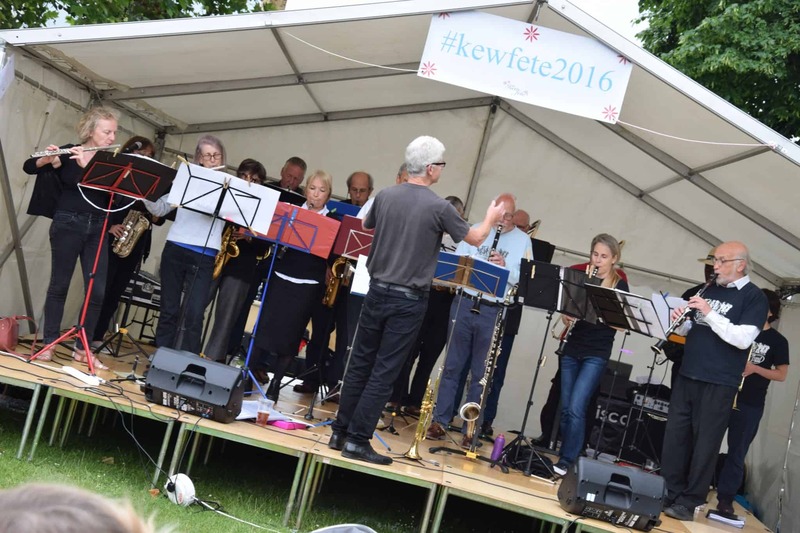 If you wish to perform at Kew Fete 2019, please enquire here. The Fete is a great opportunity to both educate the local population about your work but also to raise funds though your stall on the day. Local sponsors are crucial to the running of the Fete, and make a huge contribution to our charity donations each year. At least one of our sponsors is coming back in 2019 for their 10th year! 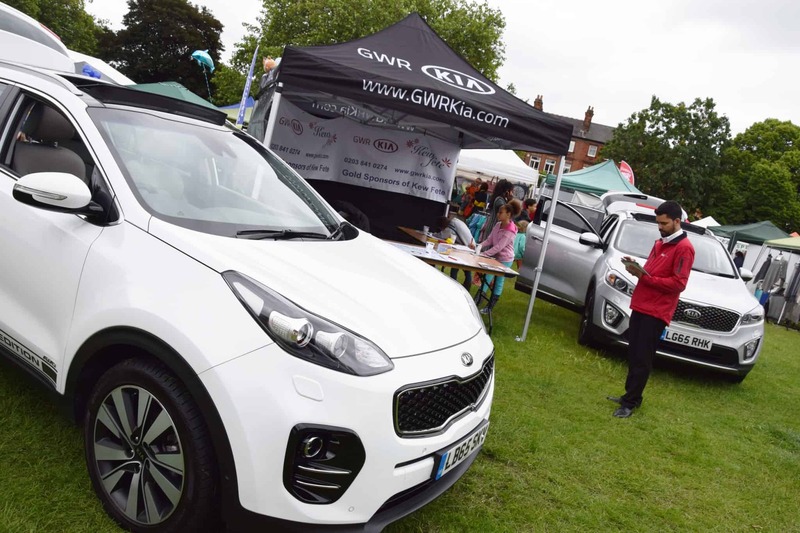 We have a range of sponsorship opportunities at Kew Fete and we're always happy to discuss specific opportunities. If you are a local business and would like to help, please get in touch. 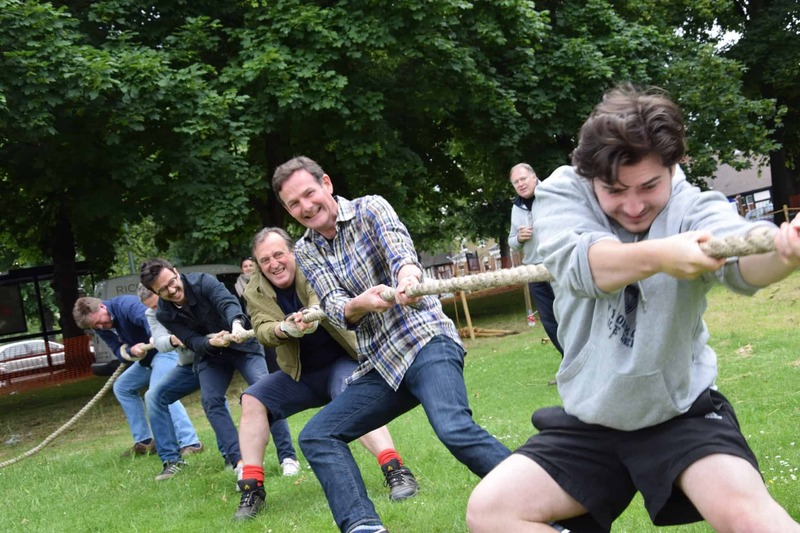 Following the success of the last 4 years competitions this year we’ll be holding our firth fun Tug of War Tournament. We’re looking for teams of six with pulling power – so start getting your team together from your local pub, street, office, school or group of friends. Team colours or fancy dress are welcome but not essential.